Tart Deco™ is a blog that journals vintage and retro culture from 1920-50, including info on fashion, music, sewing techniques and vintage weddings. Just got an email letting me know that Shabby Apple is having a special sale of 20% off anything in their sale section, plus FREE shipping! Free shipping ends at the end of the year. Labels: 40s WWII, 50s Rockabilly, fashion, What's on Sale? 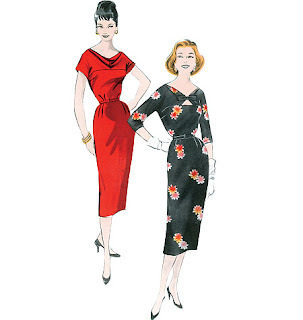 Butterick has weekly $2.99 sales on their patterns and this week is a cute retro pattern B5707. This pattern is on sale until 12/25. I love the neck treatment with the bow! 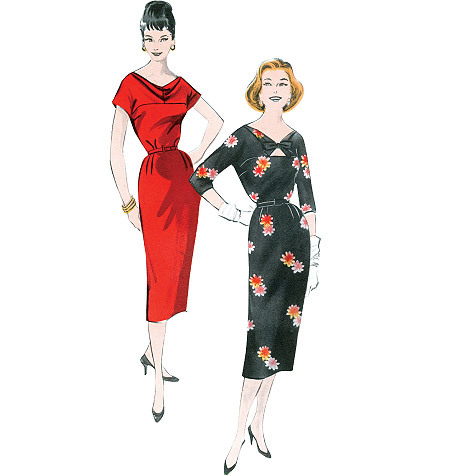 Labels: 50s Rockabilly, fashion, sewing and clothing care, What's on Sale? It's holiday party season! Last year I put together a nice party playlist and I liked it so much I thought I would repost it. Ellen has confirmed her win and will be getting the skirt sent to her right from Shabby Apple. Which is good for her since I would most likely keep the skirt for myself if they sent it to me, its so cute. Hey, at least I am honest! 20s 30s Flapper 40s WWII 50s Rockabilly Blog Spotlight corsets and crinolines DIY and tutorials fashion Giveaways hair holidays makeup music Retro Home sewing and clothing care swaps Tart Deco Vintage Library vintage repurposing Vintage Wedding VLV Series What's on Sale? Retro Radar - Vintage Living at its Best! Will retro looks be in at this year’s top sporting events? Tart Deco™ is trademarked and copyright protected through United States Common Law. blogwithintegrity.com I pledge to credit images and content to the original sources whenever possible. If you see something you believe to be yours uncredited or would like me to remove your image, please contact me through my profile. THANKS!